Deciding to sell your house is a big deal And no matter how nice your property may be, a house won't necessarily sell itself! An agent who is the right fit makes your selling process as stress-free as possible. When choosing an agent, you want someone who can promote your home, get top dollar for your home, and advise you in closing. Providing you a positive home-selling experience is my passion during every real estate transcation. Your house will be in top condition for Open House events in Lexington County. Your listing is my top marketing priority, and I'll ensure it gets the attention it commands in all available venues, even nationally. Every agent in Lexington will see your great home. 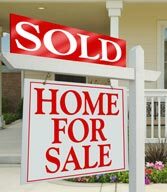 As a respected real estate professional in Lexington, I'll strive to get the best price for your home and get it sold quickly. It's easy to choose any agent, but choosing the right agent takes planning. Your home spends less days on the market in Lexington County when you have a top-selling, trustworthy agent working for you. I'm available to answer any questions that you have about selling your house. E-mail Jason Compton at jasonjac23@aol.com or call (803) 957-5566.